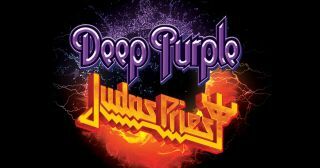 Deep Purple and Judas Priest have announced a co-headline tour of North America which will take place later this year. The rock icons will kick-off the live shows with a set at Cincinnati’s Riverbed Music Centre on August 21 and bring the curtain down at the Toyota Amphitheatre, Wheatland, on September 30. Deep Purple will be playing in support of their 20th studio album InFinite, which was released in 2017, while Priest will be showcasing their hit 18th album Firepower, which launched last month. Citi cardmembers will have access to a pre-sale beginning tomorrow (April 24) at 10am local time. The pre-sale will run until 10pm local time on April 26. Tickets will go on general sale on Friday (April 27) via LiveNation. Find a full list of tour dates below.